A month ago today, we announced our November Gobbler Gaming Giveaway (NGGG), a month long contest that included four (4) NVIDIA Tegra 2 powered tablets and a couple of gaming-inspired prize packs. For the last 3 weeks, we have handed out a different tablet, with the prize packs (Jamboxes and $25 gift cards) being tacked on during the last two giveaways. 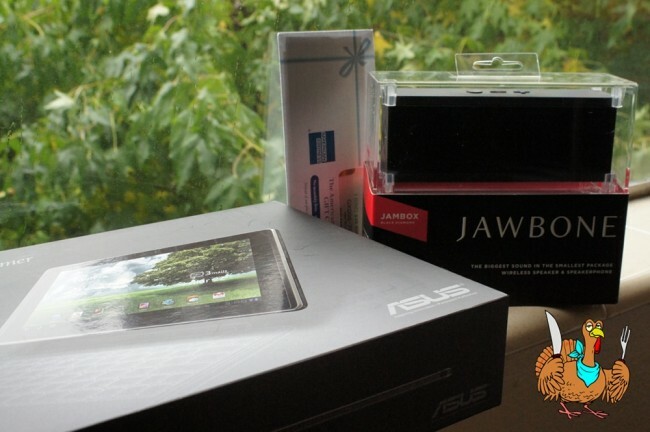 Up first was the Samsung Galaxy Tab 10.1 followed by the Asus Transformer last week and then another GTab. So far we have seen an intense amount of participation, but these last two weeks were even crazier thanks to the added prize packs. With over 3,000 entries in just over a week, we are officially blown away for the 4th straight week in a row. So as to not delay this announcement any further, let’s get to it. Scott W who is thankful to have a 4G LTE connection so that he could enter this contest, which he ended up winning. Congrats on the win, Scott! As someone that clearly has been in need of a tablet, we hope you enjoy it. To everyone else, stay tuned for mid-December as we have another blowout of tablets to give away. Will have more details as we get closer to that time, but trust me when I say, that you will be excited. And again, a HUGE thanks to NVIDIA and the Tegra Zone for hosting this contest!